The novice found at first no regular theater-engagement, only a few minor roles and temporary contracts, and her friends often had to help her out financially. But her name was made after her first performance at the cabaret “Roland von Berlin,” which immediately had new posters printed: “Claire Waldoff, the Star of Berlin.” She had sung only three innocuous little songs (in a dress bought on credit instead of her smart suit, since the official censors forbade women to appear in male clothing after 11 p.m.), but her sassy, comical style, her “winking,” ironic approach even to the most sentimental texts made Claire Waldoff an instant hit and unmistakable star of cabaret. Elegant and simple audiences alike loved their Claire Berolina and laughed at songs such as “Ach Jott, wat sind die Männer dumm” (Oh, God, how stupid men are), “Wer schmeißt denn da mit Lehm” (Who’s throwing mud here? 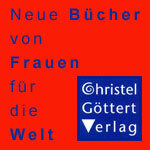 ), or “Raus mit den Männern aus dem Reichstag” (Toss out the men from the Reichstag). And they were touched by others such as “Mutterns Hände” (Mother’s hands) or “Das war sein Milljöh” (That was his (Heinrich Zille's) milieu). 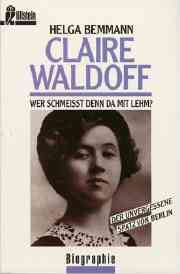 Claire Waldoff was a thorn in the side of the Nazis. 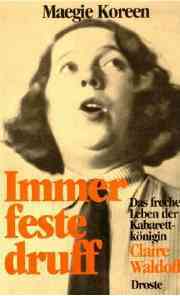 Many of her songs were too bold; many of her composers and lyricists were Jewish, many of her friends rejected National Socialism, as she did. And it was no secret that she lived with a woman…. Under the Nazis many cabarets were closed, many friends went into exile. Claire Waldoff had fewer and fewer appearances and was virtually banned from radio broadcasts. This Berlin was no longer her city, and she seldom appeared there any more, attempting to avoid the constant surveillance by giving guest appearances in other cities. 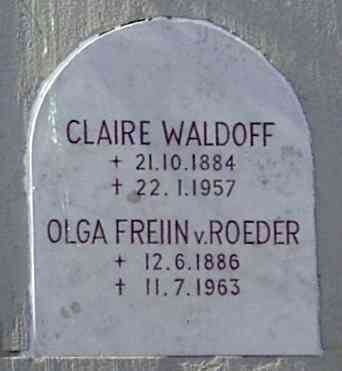 In Hanover Clara Wortmann lived with the family Schmitz, the parents of stage and film actor and director Theo Lingen. Presumably she moved there directly in 1899. Source: Ehrich, Karin: “‘Wie vieler Augen waren auf sie gerichtet.’ Die ersten Abiturientinnen in Hannover.” In: Adlige, Arbeiterinnen und ...: Frauenleben in Stadt und Region Hannover vom 17. bis zum 20. Jahrhundert. Hg. 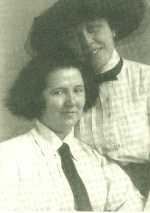 Karin Ehrich und Christiane Schröder. Bielefeld 1999. 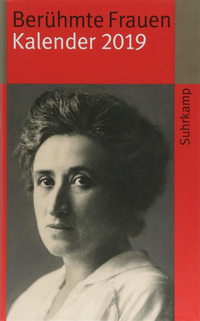 Verlag für Regionalgeschichte. S. 131-157. For sources and links see the German version.